Rajshahi Hospital & Clinic List, Location, Address, Helpline Number! Hello Dear, Welcome to Hospital & Clinic List in Rajshahi Address, Contact Number, Email, Website, Map Location, Specialist Doctor List Content. There are many big, midrange and small Hospital & Clinic available in Rajshahi, Dhaka, Bangladesh. 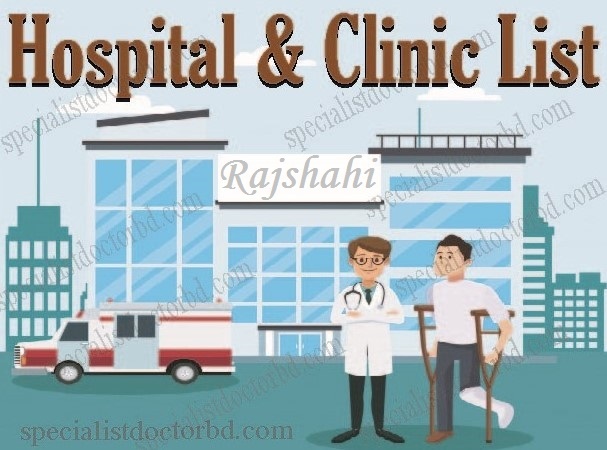 So, many people are searching Rajshahi Hospital & Clinic Contact Number, Map Location and Branch wise Address with Email. So, we try to update All Hospital & Clinic in Rajshahi List, Hotline Number, Address & Specialist Doctor Information. Ward #6, Rajpara. Rajshahi Sadar. Rajshahi. House-188, Sector-03, Housing Estate, Uposhahar, Rajshahi. Thanks for staying with us a long time and visiting Rajshahi Hospital & Clinic List, Location, Address, Helpline Number content. If you have any question about the Hospital & Clinic List in Rajshahi? Just comment here, we reply as soon as possible.